Buy All-in-one Brother DCP-350c with CISS with CISS and make 30 times more quality prints for the same money! Pay only 0.04 USD for A-4 full color print! As we know, Brother is considered to be mostly office multifunctional devices manufacturer. But brother dcp-350c wireless all-in-one inkjet printer is aimed at home users first of all. It's supplied with a color screen, memory card reader and PictBridge. It allows you to print, copy and scan. The large 2.0' color LCD display enables you to view pictures and photos before printing them easily. Prints digital images directly from Memory Stick, Compact Flash, Memory Stick Pro, XD Picture Card Type M&H, Secure Digital, Multimedia Card XD and Conventional Card. Comparing with BROTHER MFC-6490CW, we should admit that our examinee is better for home usage while its mate is generally used at small offices. Software is installed in few minutes. Sometimes there are popups that report the scanner driver is installed incorrectly. As tests show, despite such reports brother dcp-350c work good, it must be a problem with the diagnostic tool. One of the features that distinguishes the printing from others device is its alignment guides. While the majority has it at the edge of the platen, this multifunctional device has got A4 guides at the center of the scanner's glass. Due to this, it's difficult to line up pages accurately, making photocopies becomes the challenge for inexperienced users. As our test shows, dcp-350c printer offers plenty of impact with crisp, bright scans. Copy quality is reasonable, color copies, however, are washed out, dull and a bit grey. Mono copies are dark at default settings. Dark colors are not reproduced accurately, that is why dark shades are difficult to distinguish. The scanner interface application is easy to use, though simple and basic. Scan speeds were pretty quick at the test. A maximum resolution of 600 x 2400 dpi is good for scanning graphics for the web and document archiving. It's not suitable for high-end photo scanning. Printing test we started with text. We waited 29 seconds for the first page to emerge. Standard-quality document prints have dark, sharp text printed only at 3.2 ppm. A draft speed of 13.4 ppm is better, but the prints are not as sharp as it's required for general usage. Color prints are sharp, printed at 2.2 ppm. 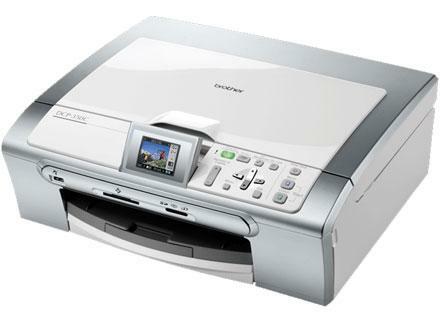 Brother printer dcp-350c has the main paper tray, which can hold up to 100 A4 sheets and includes a separate photo tray (6 x 4 in), which you need to slide forwards in the printer before using it. It's difficult to manage with aligning a paper tray, and even borderless prints may have unintended white edges. We cannot but admit the high quality of photos printed with dcp-350c. Brother printers are known for their speed. Here we have got six 6 x 4 prints for 26 minute 44 seconds. With the top resolution 6000 x 2400 dpi, it took us 4 minutes to get A4 photo. The result is really impressive. As we have admitted, the MFU is considered to be home printer and our test confirms it. It's not the best model in the row, and our review may look critical, but this all is just for you to consider both its advantages and disadvantages. As there are many pros like good photo prints, card reader and convenient design, you may not notice its cons. 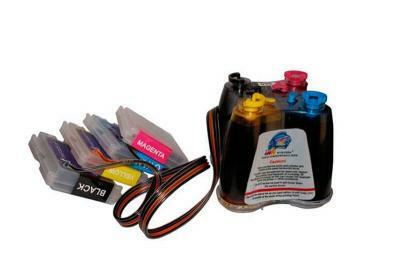 We overview different brother printers. Dcp-350c may be compared to Brother DCP-385C, as both models can boast about their excellent space-saving design features. Each has a power plug just on the side, which allows to back them up against the wall. The printing device we test has more conveniences: direct photo printing, separate buttons just for routine maintenance and clearly labeled copying and scanning. Recommended Paper Brands	Brother Inkjet Plain Paper (BP60PL), Brother Matte Inkjet Paper (BP60ML), Innobellaв„ў Glossy 8.5" x 11" Photo Paper (BP61GLL); Innobellaв„ў Glossy 4" x 6" Photo Paper (BP61GLP), and 3M 3410 Transparency Film. Maximum Paper Width/Length (Paper Tray)	8.5"/14.0"
Sheet Weight - Paper Tray (max/min)	17-58 lb. Carton Dimensions (W"xD"xH")	18.5" x 8.5" x 17.8"
Carton Weight (lbs)	19.8 lbs. Unit Dimensions (W"xD"xH")	15.7" x 14.2" x 5.9"
Unit Weight (lbs)	15.9 lbs.